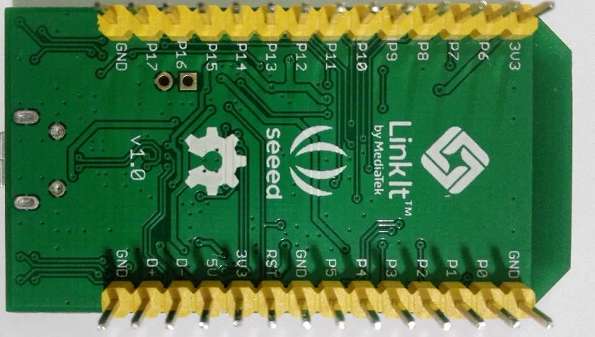 LinkIt7697is a WiFi+BLE development board Cooperative launched by MediaTek and Seeed, specifically for IoT class applications.With WiFi and Bluetooth (dual mode) dual connection, so the developer's creative space is very rich. It is exciting that the development board can be developed using the Arduino IDE, which will share with you the development experience and how to set up the development environment and use it to develop your next IoT application. 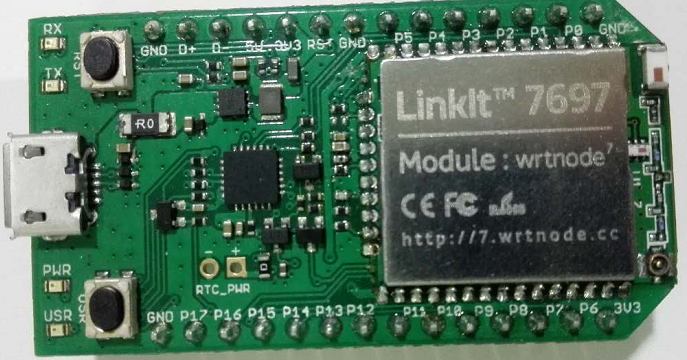 LinkIt7697 Hardware, the first LinkIt7697 is more interesting. Here to be a brief introduction. 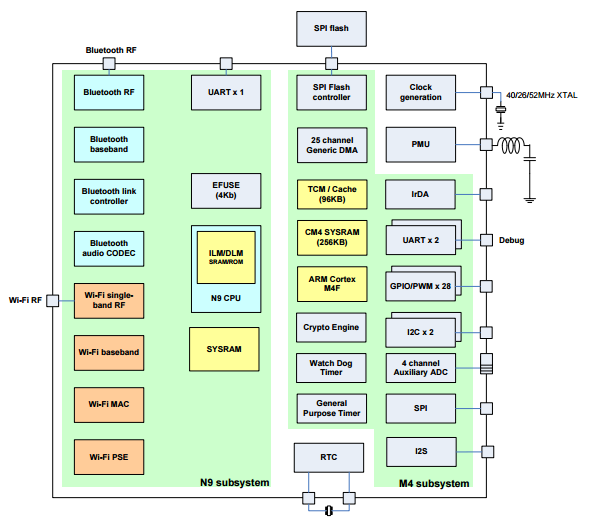 Cortex-M4 application processor, a low power 1x1 802.11b/g/n single-band Wi-Fi subsystem, a Bluetooth subsystem, and a Power Management Unit. MT7697D is an enhanced version with additonal support to 802.11a and 5GHz band. 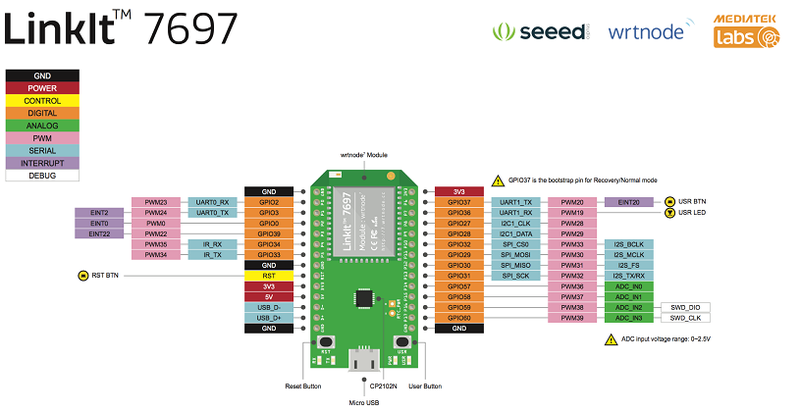 first, you need to install CP2102N VCP driver before connecting the board. LinkIt 7697 connects to your computer through the COM port interface. 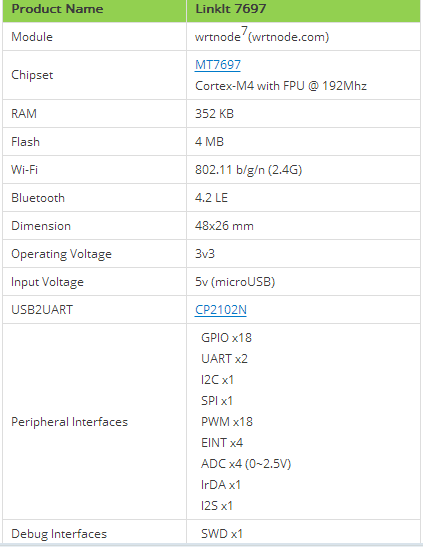 The COM port interface is provided by the onboard CP2102N USB-to-UART bridge chipset, which then connects to the UART0 port of the MT7697 SoC. 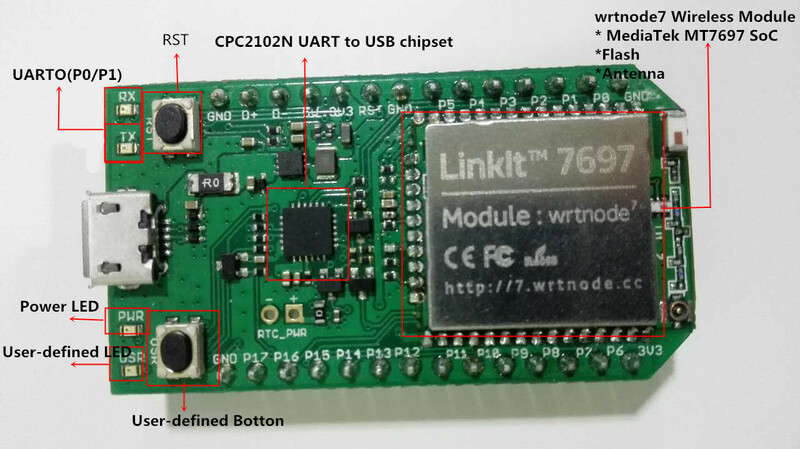 The UART0 port can be used to program the flash memory attached to the MT7697 chipset. It can also be used as a communication channel for your program through the Arduino IDE Serial Monitor, or other terminal programs of your choice. And then use a micro-USB cable connect your LinkIt 7697 with your computer. The board comes with an LWiFi library that provides nearly the same interface as the Arduino's WiFi library. 3.3.1 Select File > Examples > LWiFi > ScanNetworks. Adjust the Baud rate setting to 9,600. 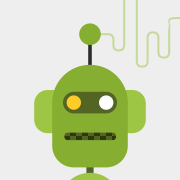 A list of nearby accessScanning for Nearby Wi-Fi Networ. 1.Select File > Examples > LWiFi > ScanNetworks. points and their signal strength should appear in the output window. Adjust the Baud rate setting to 9,600. A list of nearby access points and their signal strength should appear in the output window, for example. In short, LinkIt7697development board is very powerful, running speed, Flash / memory capacity, wireless communication interface are similar to the development of the board in the most outstanding.In addition to Seeed and MediaTek cooperation SOC processor hardware is better, the hardware vendors and open source community Commonly developed development environment is also the bright spot of this development board.We want to quickly develop IoT application of course preferred Arduino. The pursuit of performance and functionality can be used Native way development. Arduino has not yet covered all the hardware resources is the only flaw. In the open source community and manufacturers under the joint efforts of this problem will be in the near future will be resolved.